The county fair has concluded. Another set of memories created and new friendships cultivated. 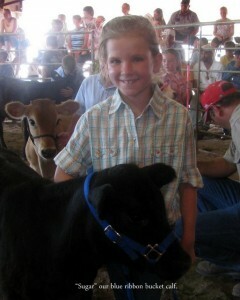 Our 4-H’er earned everything from a purple to a red ribbon. 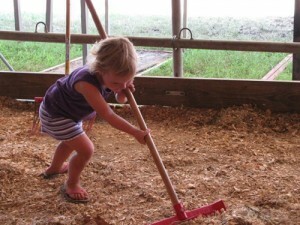 One common activity was keeping our section of the beef barn clean. That included scooping loads of manure created by the cattle. As I scooped, I thought of my master gardener friends who beg for fresh cow manure. Cow manure is the old fashion standard for fertilizing. Manure has been utilized by farmers for centuries to improve soil. It’s a great source of nitrogen, phosphorus and potassium. In today’s society, many farmers use manure combined with commercial fertilizers to ensure the appropriate nutrients balance. Since most of us don’t have access to fresh cow manure, we are fortunate to have the option of purchasing ready to use fertilizers. If you want to be a serious gardener, I highly recommend a compost bin. Gardeners who have a compost bin often seek out manure. It’s the perfect ingredient for a healthy compost bin. I will talk about compost bins in a future blog. My next job is to get the fresh cow manure smell out of the minivan. Ewwwww. Hi Dee, this is Bridgette G’s sister in New York. She referred your site and blog. I need help!!! I just moved into our new house 7 months ago and this is our first season that we could do some gardening,but unfortunately we couldn’t. We have tons of poison ivy everywhere, even coming up through the grass. We are both extremely allergic to it and had it for four weeks after trying to pull up some groud cover. We thought of having a landscaper come in and pull it all-he said that he will pull 8-12″ below the soil to get rid of it all. Can you think of any other way? I have been told pour bleach on it, gasoline on it, even fat after frying foods. HELP!!!!! PLEASE?????? ?